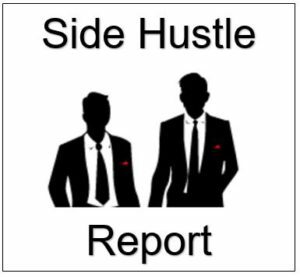 Our third installment of the Dividend Diplomats’ Side Hustle Report. Each month, the two of us publish a report showing how much income we made from our various “side hustles.” We talk all the time about how every dollar counts and can make a lasting impact on our journey towards financial freedom. Producing these reports helps hold us accountable and motivates us to keep increasing the number. Nothing excites us more than reading about another blogger that is pushing themselves to the limit, so hopefully our August Side Hustle Report can help us pay that motivation forward. Just a quick note, this side hustle report will contain the occasional affiliate link to the service(s) we use. It is important for us to mention that we are only including links for services that truly add value to our lives. We would not do that in any other way and we hope you know that! These sites/apps have helped us tremendously, we hope that you do sign up to try them out and let us know what you think. Additionally, if you like them….then share the wealth with others around you. Now, let’s see how well we performed during the month! Bert – $11.85 – Much like Lanny above, the bulk of my activity and cash back came from pending transactions finally paying out. A few of the hotels I booked for work recently final came through 6-8 weeks after my initial stay. That is a long turnaround if you ask me. The best part is that I still have 6 pending transactions. If all of those hit in September, I will be jumping for joy and very excited to write this side hustle report next month! By the way, with the image below, I show my lifetime Ebates earnings over the last five years. The image also solves one of the greatest fake mysteries of all. Bert is only my nickname. My full name is Robert! Lanny – > 3,675 Swagbucks, $36.75 – Due to the carry over from July to August, I was able to cash out twice. Therefore, I was able to deposit $50.00! Receiving cash of $50.00 is very exciting, all for searching the web online, more than likely, for dividend articles and frugal living. In addition, I made approximately $5 more than last month’s report. The way I was able to monitor this was take my end of July lifetime amount and subtract out my lifetime amount at end of August (found in the activity section of your account). Here is the proof of the cash outs and I have to say one thing, the side hustle here is real. Bert – >590 SB, Swagbucks, $5.90. July was a record setting month for me and I was able to cash out and receive a $25 Paypal credit (much like Lanny’s above). However, my Swagbucks total declined significantly in August due to the fact that the majority of my free time was spent fixing our house, painting walls, sanding surfaces, and ultimately moving from our rental into our first home! I tried to Swagbuck when I could, but I just did not have the time needed to earn 2500 Swagbucks and cash out. But my goal in September is to CRUSH it and transfer some money into my account! Ibotta – Ibotta is one of our favorite apps because it is so easy to use. It is so easy to earn money that they even give you $5.00 just to sign up! The app allows you to earn cash back from nearly every grocery store, several online retailers (such as Jet.com), and even Uber (You can earn $1.00 cash back per Uber ride if you open Uber through the Ibotta app). Before shopping, you scan the available rebates on Ibotta and see which items you are planning on buying. Some example of rebates that may be available any given week are $0.25 for purchasing bananas, $1.00 for purchasing a certain type of coffee, $1 for a cereal, $1-$2 for certain healthcare products, $2-$3 back for purchasing a delicious craft beer, or $2-$3 off of a new bottle of wine! What we love is that the discounts don’t just apply to goods that are impossible to find or are very expensive; there are always a few name brands to choose from. Redeeming the cash back is very easy as well. After your trip to the store, you simply scan the receipt, select the rebates that were purchased during that shopping trip, and then you receive the credit within 24 hours. If you would like to try the app, we included a referral link in the banner below our monthly summary and at the beginning of the paragraph. 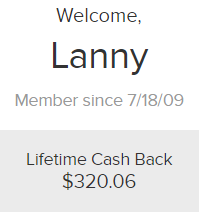 Lanny – $26.00 – This is almost $15.00 more than July and I’ve earned over $160.00 in cash back from the website. However, I highly URGE you to sign up. Yes, sadly we do get a referral kick back, but this is by far the EASIEST way to get cash back. Further, the beer, wine categories make it fairly simply to rack up (usually $1.00 – $3.00 for a 6-pack and/or bottle of wine, eh, I’m Italian and Irish). Additionally – supplements like vitamins are a bigger cash back piece as well. This is by far my best month in rebates and I was able to cash out during the month of July, I believe I cashed out around the $22.50 mark. Here is the table for my last 3 months, and like the other hustles above, this one is trending up. Bert – $10.00 – The steep decrease compared to July was due to the fact that I did not have any new referrals. In July, I referred my mom and my wife to Ibotta, which resulted in $20 and an instant cash out. The majority of my cash back from the month came from purchasing beer for the bachelor party I attended. I may have volunteered to purchase cases of beer for the hotel since I knew that I would receive $3 cash back from Ibotta with each purchase 🙂 The others purchased beers for me at the bar, which were not eligible for cash back. Seemed like a great trade for me! Lanny – $5.97, net of fees and shipping (tremendously down from $28.80 last month, $54.43 in total) – I have sold 6 more items on eBay, trying to get rid of “stuff”, we’ll come out with more on getting rid of stuff later, but I know I own too much crap in my life that is consuming space, time and resources. The six items I sold were 5 DVDs and 1 book. As you can see, the DVD market is not profitable, period, however, for $0.25-$0.50 (net of fees, shipping), I will gladly earn that positive feedback, as I know more feedback will be beneficial in the short & long run on eBay. I have, as of the date of this writing, 18 more items that are active on the selling market. I don’t expect to sell all 18 in the first go around, but if I can even sell 30%, I will be happy. In the end, hopefully all of the items will add value to someone else’s life, as that’s the purpose of owning something, to add value. However, from a side hustle perspective, not as lucrative this month, but September should be more interesting. Bert – $0– Just like the Swagbucks summary, I did not have a lot of time to create new listings in August while working on our house and moving. BUT. As we were packing up our apartment, my wife and I were building our inventory for items that we would like to list on Ebay and sell. We expect our inventory to continue to grow as we start un-packing and seeing which items no longer fit in our new house. I cannot wait to starting listing these items towards the end of the month and see how much additional income we can earn. Man September is going to be a lot of fun! Lanny: $90.28, total of $214.46 since tracking on the blog! Bert: $27.75, total of $181.93 since tracking on the blog! Combined, the two of us were able to earn $118.03 from side hustles in August. 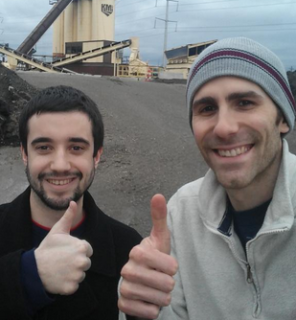 We were able to earn three digit income, turning extra time into income producing time! What’s crazy, this is just the tip of the iceburg of side hustling my friends. There are plenty of other income producing activities out there, some may be far, far better than these above. Trust us, we would love to engage in as many of them as we could, but time does not permit that (currently, at least). There are plenty of great reasons to side hustle and opportunities out there, so we are challenging each and every one of you out there to find a side hustle that works for you and JUST GO FOR IT. Make the time to earn some additional income and push yourself closer to financial freedom! What do you think of our side hustles? What are your monthly cash flowing adds to your income? Are they producing the results that you want? If not, whats your plan of attack? What other side hustles would you recommend? This entry was posted in Monthly Summary, Side Hustle and tagged cash back, ebates, Financial freedom, freedom, Ibotta, Side Hustle, side hustles, Swagbucks. Bookmark the permalink. I enjoyed reading about the side hustles and learning about the various different methods to making money. I don’t do any side hustles at the moment. The Ibotta looks interesting because I buy beer on a regular basis. Hopefully September will yield even higher results for the both of you. We are glad to share it with you! Ibotta is great because it isn’t that taxing or time consuming. You are getting rewards for grocery shopping, which you are already doing. So spending the extra time to research and see if you are getting a rebate on a product you were going to buy regardless is always a plus. I’ve also tried and really liked several new beers that I would not have considered buying without the Ibotta discount! Reading this always makes me feel like I’m being a lazy bum with my free time. It’s really worth doing though, bringing in just $350 / month extra would replace $100k in needed investments! Never really thought of it like that. I’m trying to progress better each month and feel like I’m getting there. I still have some time in September to make damage happen. Appreciate the comment! I really do! I knew about this for over a year now from other people I work with that do it. I had those same questions that you ask but I feel GREAT!!! As long I am drinking plenty of water and no caffeine before going the process goes quickly and smoothly. When you go in the first time it may take somewhere between 2-4 hours because they have to run some test before just to make sure you are healthy enough to donate. They will take some samples of your blood and test it and gave you results of it after a week, they are looking to see if you have any disease. I tell you I beat myself for not doing this a year ago this is real cash and so easy! I’m not sure what is the compensation up there but certainly something to look into it and I am spreading the word of this with everyone I encounter. Let me know if you decide to do it and how has your experience doing it. Good luck! Very nice and solid points to keep in mind. Do they really just hand you a few twenties and say thank you? It sounds fairly nice. How long are your sessions post the first one? Awesome job! I haven’t heard of Ibotta I should check and see if it’s available in Canada. Definitely check it out if they do, I know that at least had plans to introduce iBotta to the Canadian market and I hope that they have. It’s been a fun one, as it feels like just another way to reducing my eating/food expense and try new things at the same time. Heck yah, best of luck and let us know if it works! I can’t even total the amount I’ve received from them over the years, but I know it is quite a bit, as you can see above!! I agree. We just have to get Bert back in the saddle after his off month, primarily due to his house. Each time we write this article, I challenge myself to do better than last month, even if it’s 1 cent better. We can do this. Keep up the hard work guys! I keep working at a bar / brewery part time and probably pull in 225 each month (with $75 of that for running a trivia night once every few weeks). Though this month should be closer to $400. Ever dollar does count. Though I must it admit, it is hard to convince other people of that – as they equate small amounts of money as something, which is trivial. However, that is a poor way to look at it. Aggregating those small amounts can yield huge benefits. Knew about the bar, but had no fricken idea about trivia. So $75 per trivia night, huh? Pretty awesome if you ask me. You are making a nice purchase every few months, and that’s the ultimately benefit – turning cash flow into more cash flow. Keep it rolling. Drink a brew for me! Thanks for sharing your side hustle income, Lanny and Bert! It’s awesome that you were able to earn an extra $100 plus combined during the month. Admittedly, my side hustle game could use improvement. Besides blogging (Adsense, affiliate links, occasional freelance work, occasionally sponsored links/posts) and dividend investing, I don’t really have much else. Thanks for the motivation! There are still a number of extra income opportunities out there that I could be using to grow my dividend portfolio. Keep it up! Thanks for the comment. And yes – blogging is a great way, with Bert & I still finding the right day to crank out more of what we want to produce for that article, to earn an extra kick back. There are so many items. With eBay, I found dedicating 30 minutes with a focused approach of what you want to list is important and easier/less time consuming. I can list anywhere from 15-20 items in that time frame, which has the ability to generate a nice little chunk of change. Keep us posted if you do more! Thanks again and talk soon. I really like reading about your side hustles! Great concept and it would be interesting to see what other ways you dig up to make money on the side. Perhaps more readers will share their side hustle experiences, like Capturando Dividendos with donating plasma! That’s what the post is really driving at – hopefully we can share what else we are doing to generate more income, and CD’s example of Plasma would be one of those things! More cash can equate to more assets that produce more cash and the cycle goes on. A little bit adds up fast. About $200 each from when you have been tracking is great. Throw that into some stocks and let it start compounding even more. Exactly, cash flow producing more cash flow, it’s awesome! Thanks for the comment. Good side hustles for you guys congrats! I thought about the online survey, polling etc. one. Question: do you have to spend a lot of extra time on the web to earn this or is it time you would have spent online anyway, therefore making it more passive? Very nice with the additional income : ) I would say it’s what I spend online anyway i.e. swagbucks I am searching for things online and might as well get a “kick back” for it, haha. As for eBates – it’s 1 extra step prior to making a purchase or booking online, takes an extra 3 seconds or so? There’s an extension you can click on to make it even quicker! iBotta can take some planning, though! Wow. You guys are doing great making extra income from the side hustling. 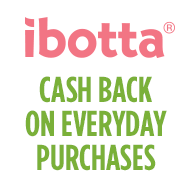 I used to use Ibotta when I lived in Wisconsin, but when I moved to Chicago the grocery I used most often didn’t automatically work; it wanted me to scan in each receipt. That just seemed like a little bit too much work. Since I’ve moved again I’ll have to check to see if the grocery stores around her would work automatically. Another one I use is eRewards. You fill out surveys and get cash that you can redeem for gift cards, magazines, newspapers, etc. It seems it is invite only. I got my invite through an airline company, NWA, back when that was still around. Appreciate the comment as always. Def. check back on iBotta to see if the grocery stores are available! Automation definitely makes things a tad easier, no doubt. I think I used to use eRewards back in the day. Do you still use them? Can’t you redeem rewards for miles, etc.?? This is awesome that you guys are able to bring in some extra money from these sites and apps! 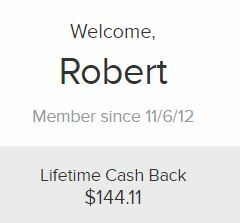 I’ve been using eBates for over a year now and only recently started getting cash back. (I guess my purchases in the past didn’t qualify like my more recent purchases have, but I’m not complaining. Even though it’s small, love that quarterly $ coming in!) I’ve also tried Ibotta but ended up deleting the app because I didn’t usually purchase the items listed. Sounds like Ibotta’s added quite a few new features, though. I actually never even thought about these kinds of things as side hustles until I read your post, but I like it! In my mind I thought of the term ‘side hustle’ as a part-time job or something that absolutely must produce over so-and-so amount of money per month, but it’s great to know that even doing small things like using these apps can bring side hustlers closer to their financial goals. Glad you sent me this link on Twitter earlier today! Just curious, was it Lanny or Bert that I was talking to?